My littles (Honey 5 years old & Moose 3 years old) are really into watching educational shows on TV or on the computer. When I say they are into them. I mean they really enjoy watching them getting involved with them. Right now Team Umizoomi and Bubble Guppys are the "it" shows on TV for my littles. I love how on Nick Jr. they share with you what the show will be teaching your child. Team Umizoomi is a math themed show. It demonstrates how math is ever where and how it's integral to our daily life. Bubble Guppy's is a show that covers all kinds of topics from dino's to dogs and uses all kinds of ways to teach it. Such as math, science and music to name a few. My children really LOVE being able to interact with the tv during these shows. The characters on the show ask questions and my kids reply out loud to them. Again these are great shows but there is only one problem, you have to have cable and you have to wait till they are scheduled to be shown. 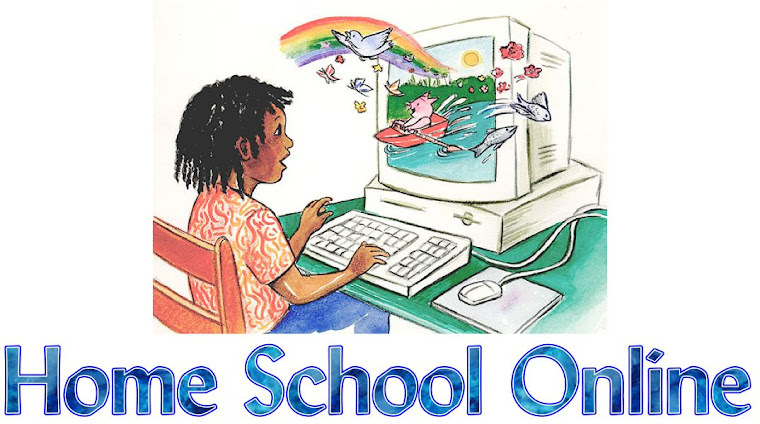 So when that becomes an issue we turn to the computer for educational videos online. 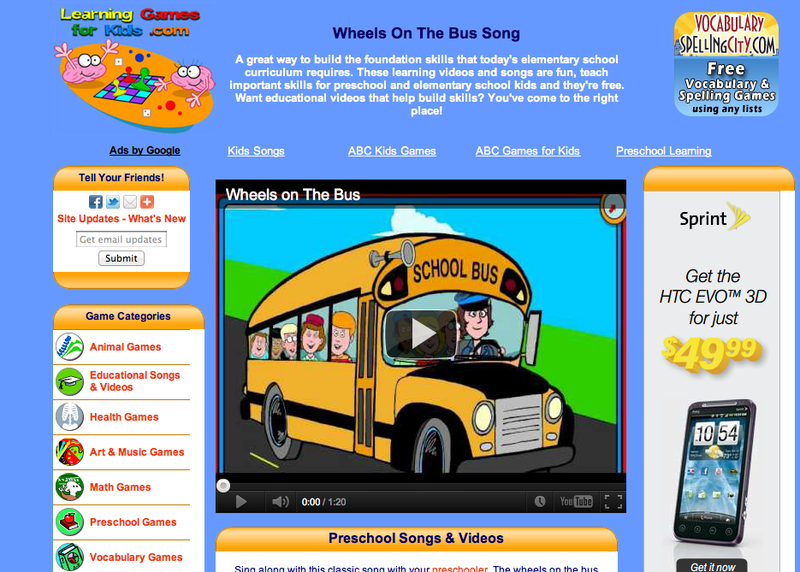 Just today we sat and watched every video on the LearningGamesForKids.com website. Some of them we watch twice. Moose ended up climbing up in my lap and just dancing in my lap with the videos. At first they argued over which one to watch first. Then we ended up watching them ALL. It was so much fun to watch my children's have so much fun. The Wheels on the Bus and the 12 Lady Bug Picnic where their favorite. 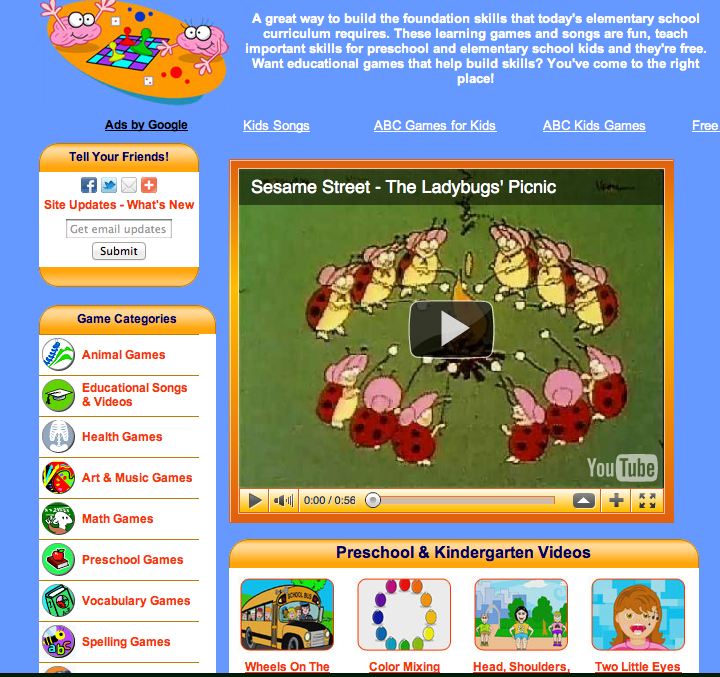 These video's go really good with the Time4Preschool.com Which we have been doing more and more of with my daughter. 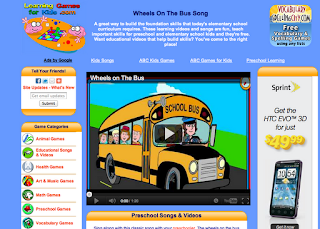 Do your littles (children) enjoy educational videos too?